Booty for Boobies? Sounds like a good cause to me! Booty for Boobies is a crew of breast avengers raising treasure for the chests. 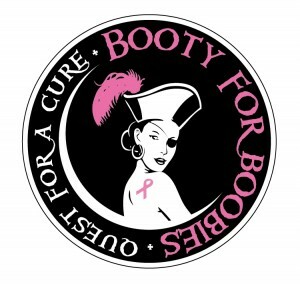 We host an annual Pirate Party that is focused on the task of raising money that is contributed directly to Breast Cancer Research. Through the generous donation of sponsors we are able to give 100% of the door proceeds at our event to the American Cancer Society in support of their Breast Cancer programs.